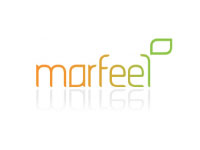 Marfeel offers mobile reading technology since 2011 to media groups, publishers and brands. Its network is formed by major national and international publishers such as Unidad Editorial, Grupo Zeta, Grupo Prisa, 20 minutos or Prisma Media, making Marfeel the leading mobile reading solution in Europe. Marfeel automatically turns any web into the best reading experience for different moments of the day in devices such as the iPad or smartphones. The company has over 4 million readers and over 100 million page views. These figures have turned clients such as Expansion, CincoDias, Vozpopuli, Sport, Publico.es, El Periodico or Gala.fr into loyal fans.